Successful websites have one thing in common, they focus on ministry process and create designs to help connect visitors to their community. Eagle Brook’s small group finder is a great example of ministry process shaping design. It’s one the the designs we share in the Ministry Process Design eBook. 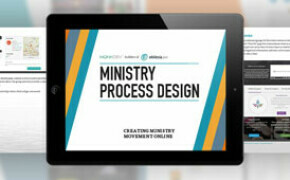 Ministry process designs from Fellowship Bible Church, Bayview Glen, Eagle Brook, Green Bay Community Church and more.